The Immersion Research and Development Group is at the heart of haptic innovation. Their discoveries drive breakthrough product experiences and make new things possible in all areas of haptics development – from gaming, advertising, mobile and beyond. 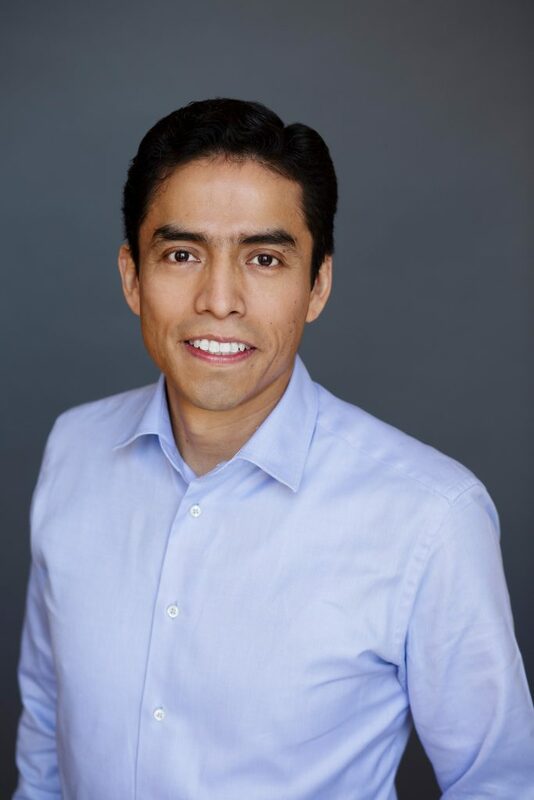 We sat down with Immersion’s Director of Research Manuel Cruz to talk about the team behind the technology and how Immersion approaches research and development to stay ahead of the trends. You’ve been with Immersion for seventeen years! How did you get started in your career and what drew you to Immersion? I’ve always been interested in the power of touch and how it can enhance human connections and transmit emotion. I am from Latin America where human touch is a big part of our culture, but it’s not as pronounced in North America. I was inspired to focus on touch technology by one of my professors in graduate school. Ever since, it’s been my quest to figure out the science of touch and how we can incorporate that into our everyday lives. I started my career at a company that was acquired by Immersion, which really opened the door for a new field in haptics, and I’ve never wanted to leave. Immersion has invested heavily in technological exploration of touch technologies. There’s always something new to do and something new to learn. It’s exciting to be a part of this innovation. As one of Immersion’s research scientists, what does a typical day at work look like? There is no typical day in my field, as every day is different. I’m constantly learning by reading a lot of research papers to make sure that we are up to speed on the latest industry research and development. I look at many areas of haptic technology to inform our development processes. Understanding the psychology behind touch effects and why it matters is important, as is the mechanical engineering and the actual making of haptics. I am also heavily involved in Immersion’s intellectual property processes. There are many days when I do all those things in a single day. As a researcher, it’s the experimentation through failing and succeeding that creates new knowledge and technologies. What types of research and development does your team do? Immersion’s researchers have a diverse background, which is invaluable. Some researchers have a background in software, others in electrical and mechanics, and each of those perspectives helps us move the needle. We also have expertise in materials science that allows us to create new technologies that are light, small and power efficient. Our experts dive into different areas of haptics: machine, computer, human, and design. The team actively goes to industry conferences to acquire knowledge and talk with other companies that are involved in haptics, gathering info and meeting new people from companies Immersion could partner with in the future. Our goal is to have a broad understanding of all aspects of touch so that we can stay ahead of the trends and produce innovative solutions that developers can take to market. Where do you see the biggest opportunities for haptics effects? What gets you most excited about the future of haptics? There will be opportunities everywhere. With the advent of more digital interfaces and devices, the need to interact with information in a natural way will require the engagement of all our senses. Right now, most people know haptics as a mobile or gaming experience because it’s something you hang onto – it’s tangible. But there are many industries that can reap huge benefits in this area. Medical is one of these. Imagine a room full of surgeons using haptics as they interact, which in turn improves patient care. AR and VR applications for machine maintenance, say in a factory, can enable workers to do big tasks in a shorter period of time without having to consult voluminous operation manuals. Enhancing automobiles with touch effects also has big potential for making driving safer and more pleasant. We are communicating with machines that carry information to other human beings and, to make that communication more natural, the sense of touch needs to be utilized. Immersion is proud to be at the forefront of discovering how touch effects can solve this challenge, and the possibilities are limitless.